The Almagor organization for victims of terrorism criticized IDF Chief of Staff Benny Gantz on Sunday over Gantz's reaction to findings regarding the murder of Ben Yosef Livnat last month at the hands of Palestinian Authority police officers. “The light finger on the trigger in firing on Jewish worshipers – unplanned – just goes to show who Israel's partners are on the Palestinian side,” the statement continued. Gantz's decision not to label Livnat's slaying a terrorist attack “stems from an attempt to protect the Palestinian partners, who got the IDF's permission to carry weapons,” it added. Defense Minister Ehud Barak was criticized as well. 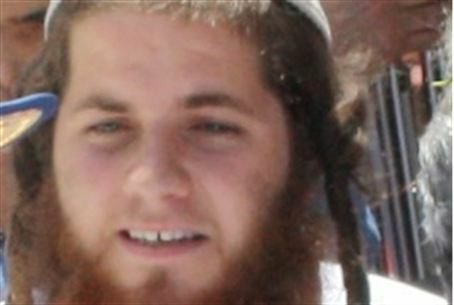 “The fact that the IDF did not request the arrest and extradition of the murderers shows that something is very rotten in Barak's kingdom,” said Almagor. The group called to demand the killers' arrest, and threatened to appeal to the Supreme Court in the matter. Barak came under criticism last week when he blocked MKs from visiting Joseph's Tomb due to Arab threats. The visit was to have been the first to take place during daylight hours in more than a decade. MK Michael Ben-Ari (National Union) responded to the IDF's findings regarding the shooting by calling to end Israel's cooperation with the PA police.